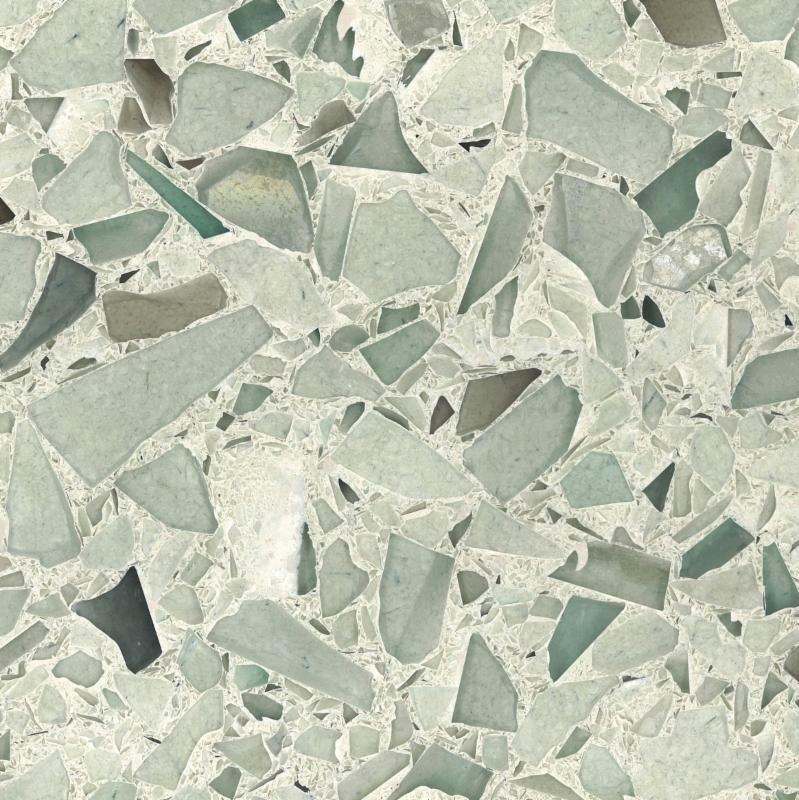 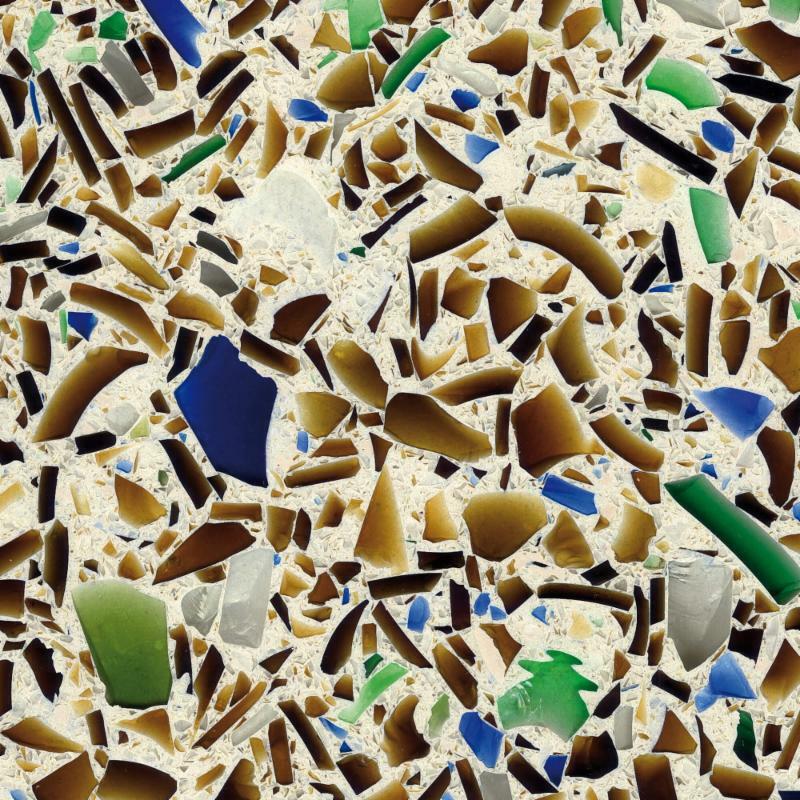 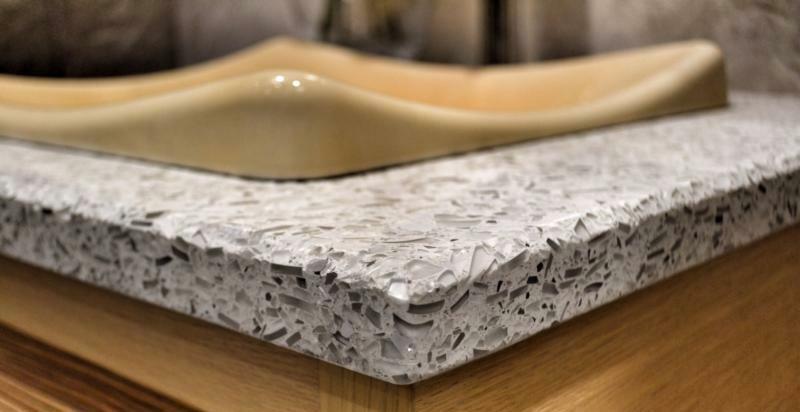 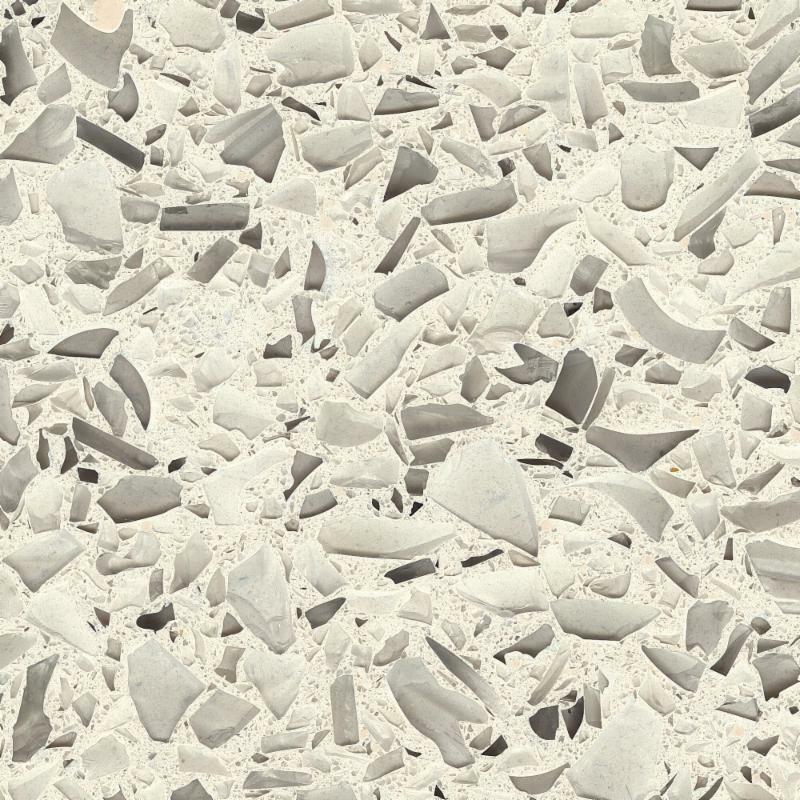 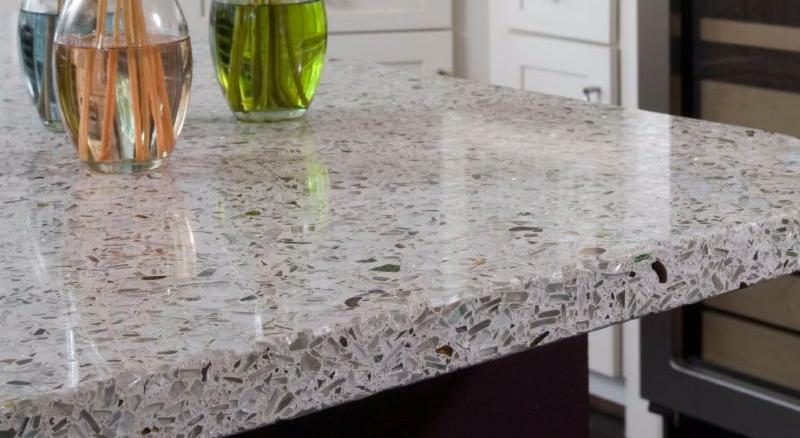 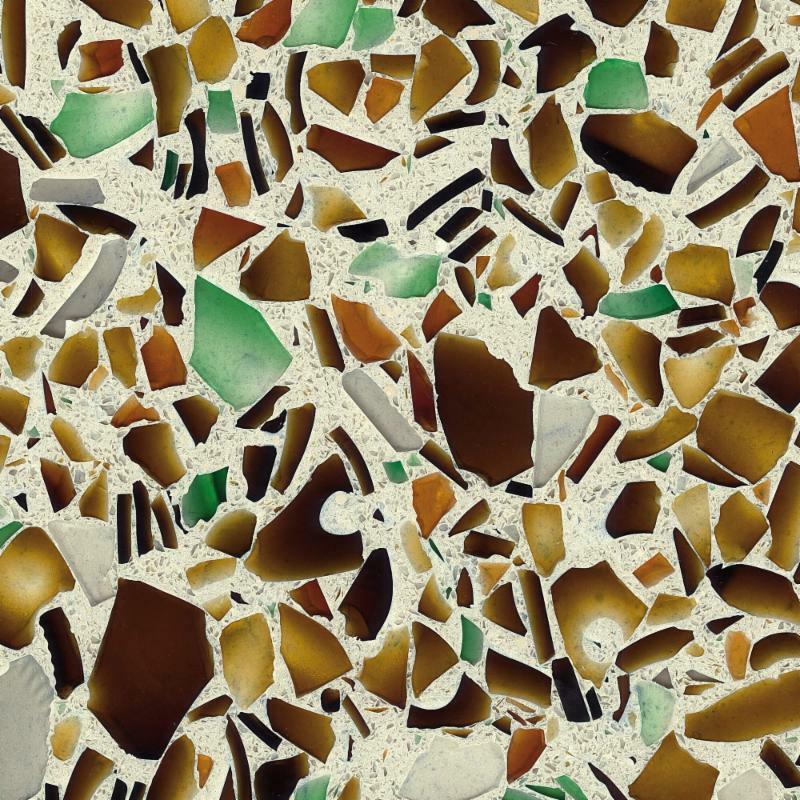 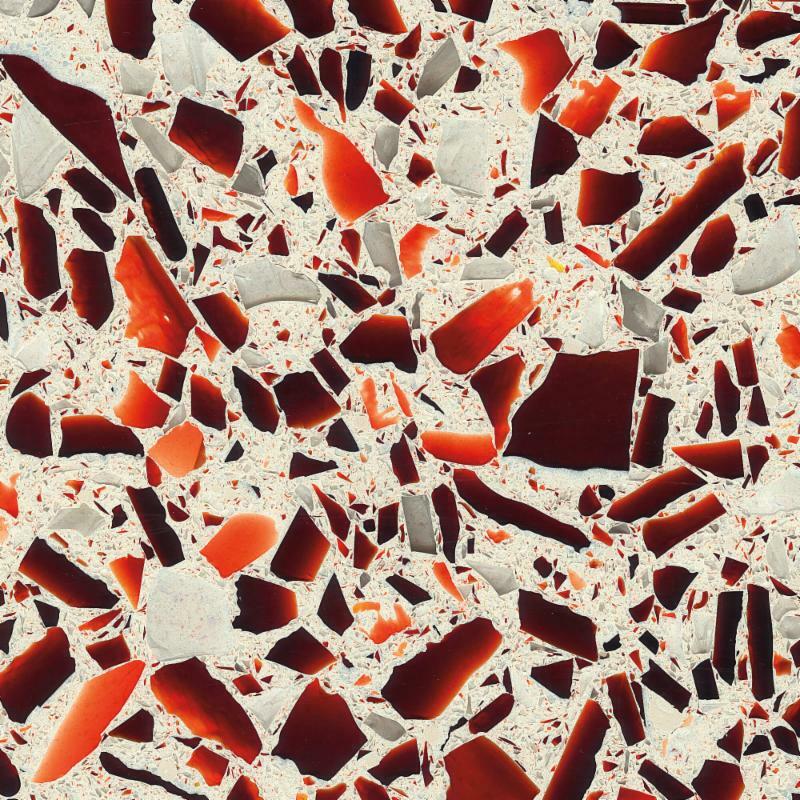 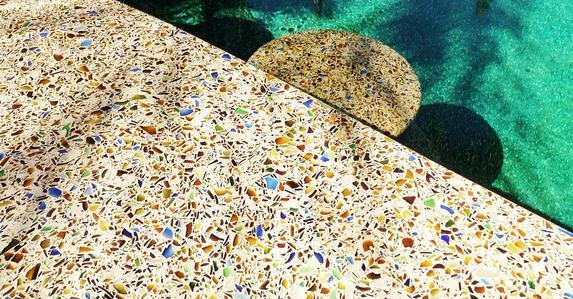 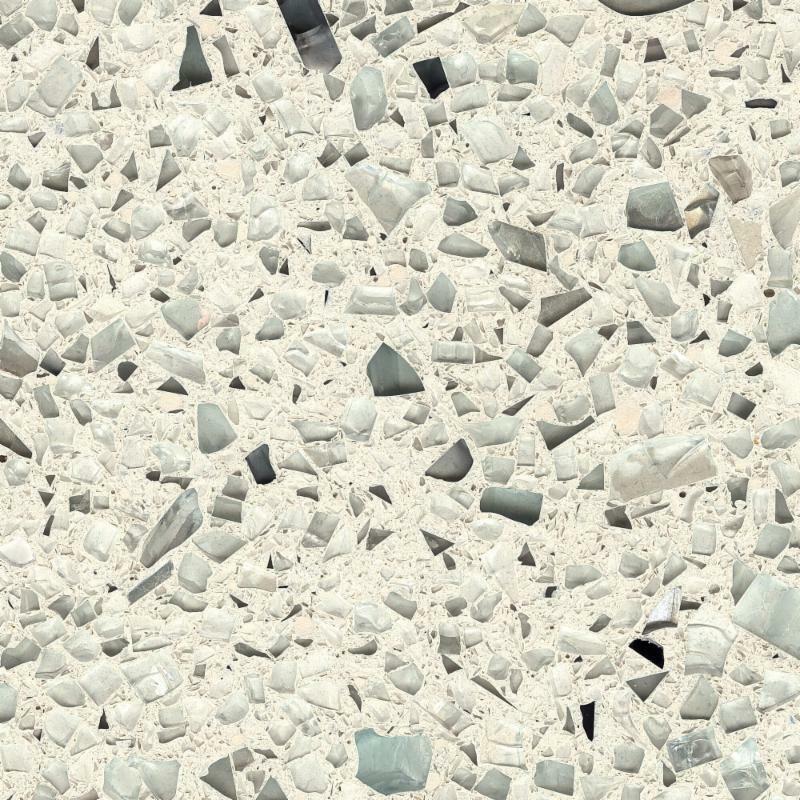 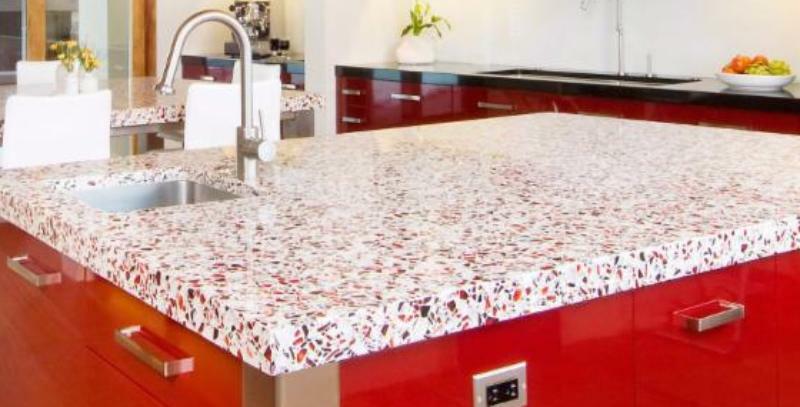 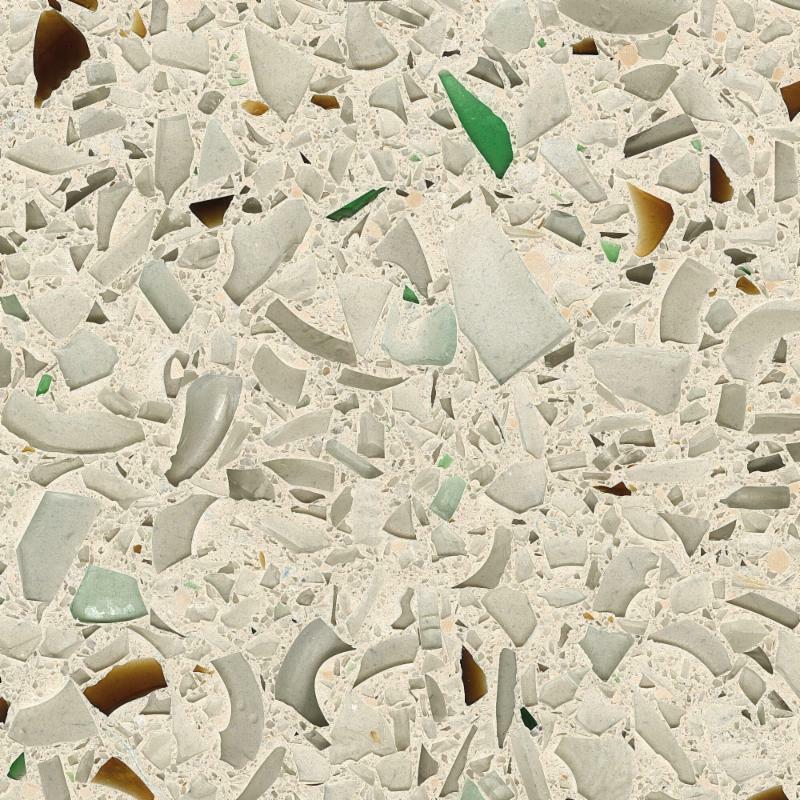 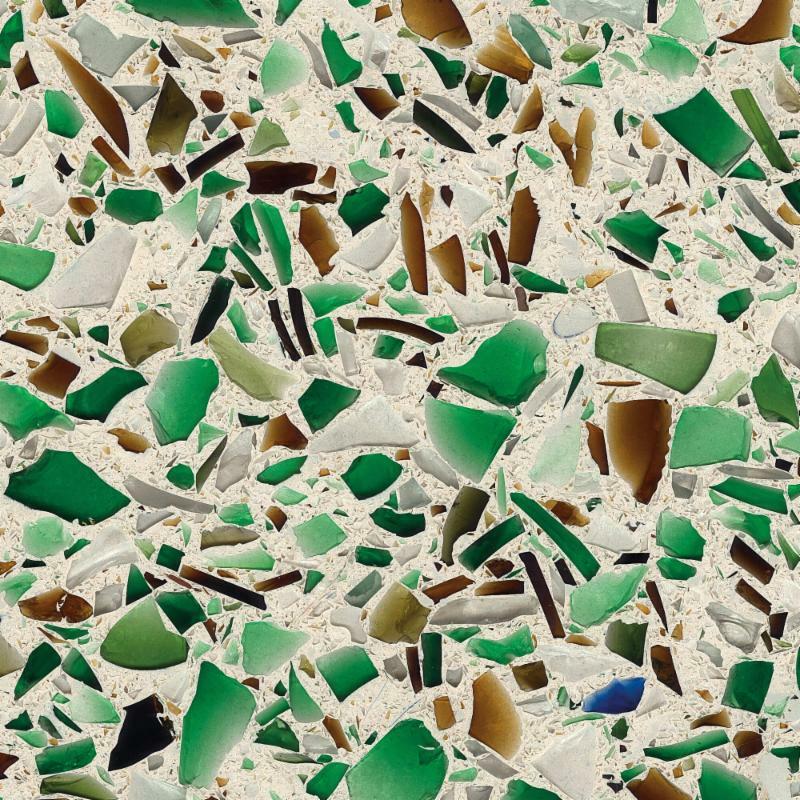 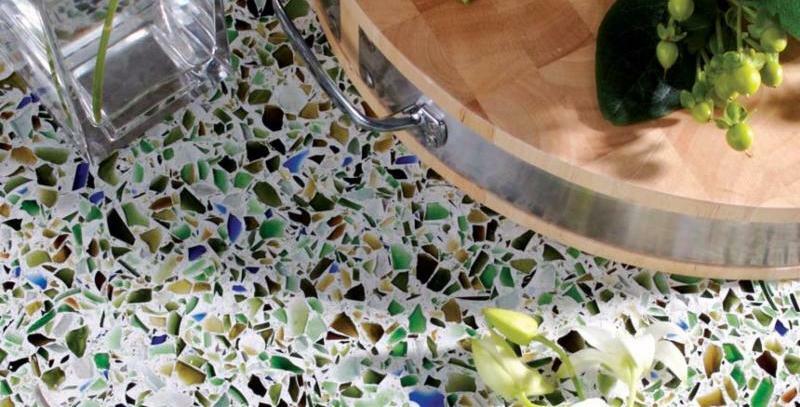 A unique surface handcrafted with recycled glass in slab and panel format. 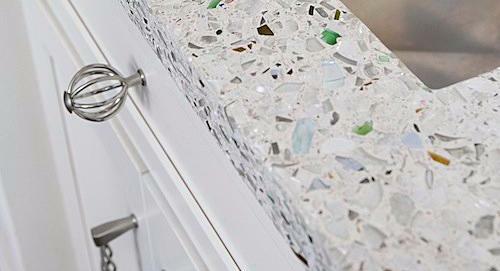 Clear glass bottles and condiment jars. 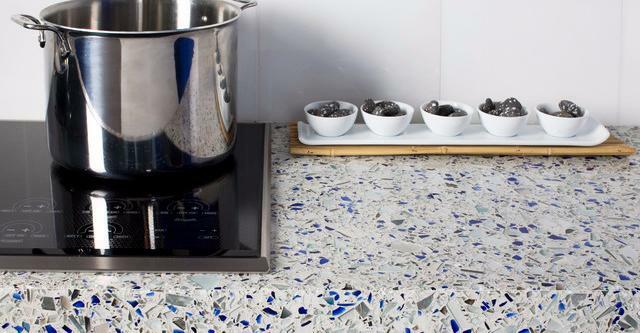 Beer and wine bottles, various condiment jars, tasting glasses, bowls and blue glass shards. 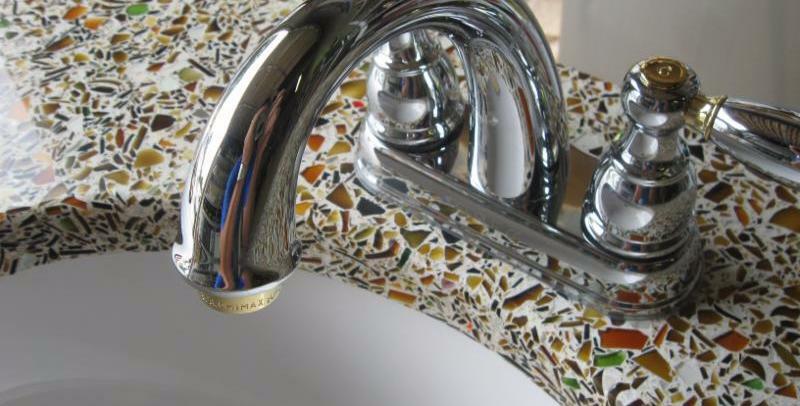 Clear glass condiment jars, red glass from stained windows and dishes. 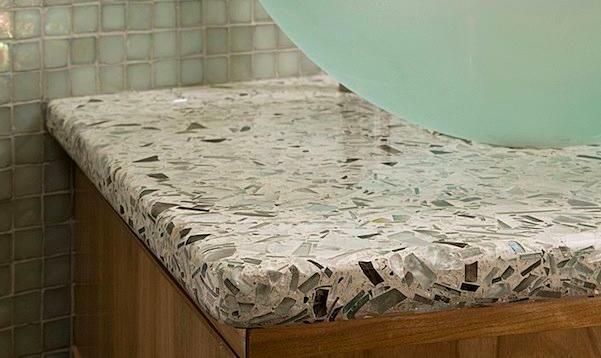 Demolition architectural glass, inspired by sea glass. 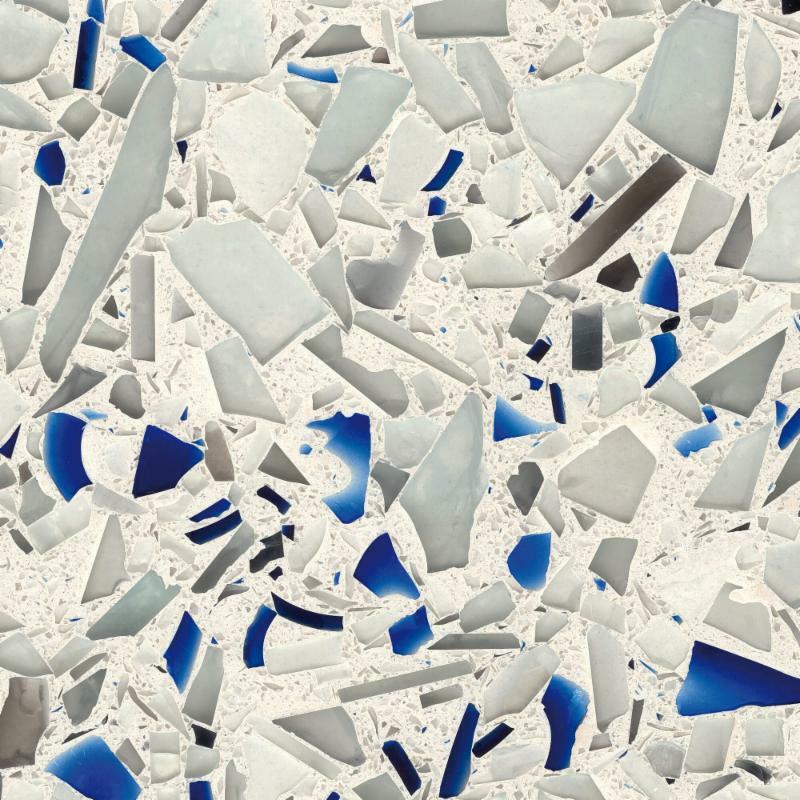 Skyy® Vodka and 1664 beer bottles, condiment jars, demolition architectural glass, aquariums. 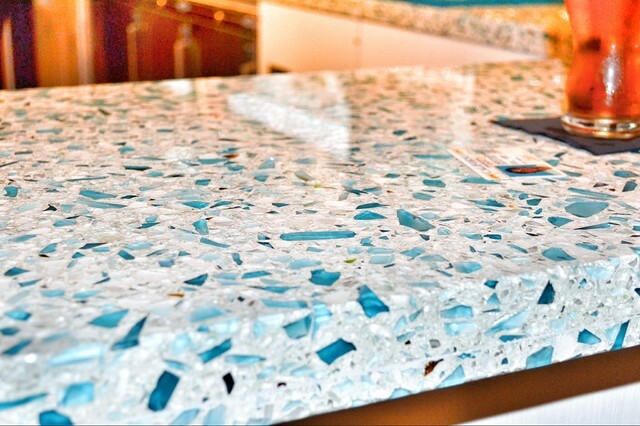 Demolition architectural glass and aquariums. 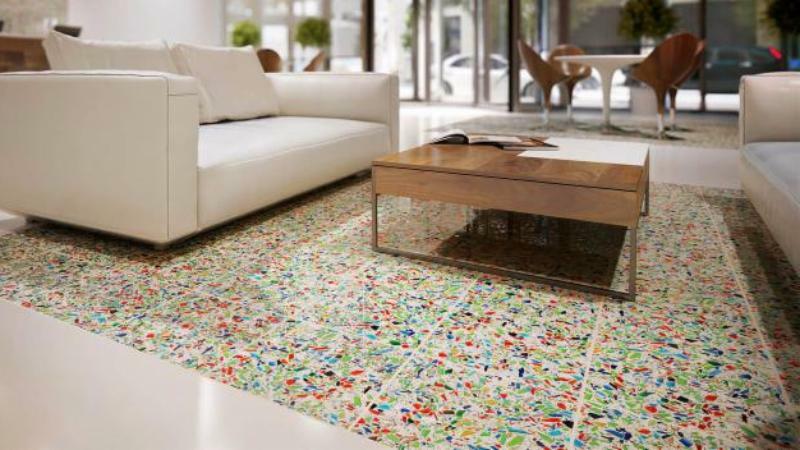 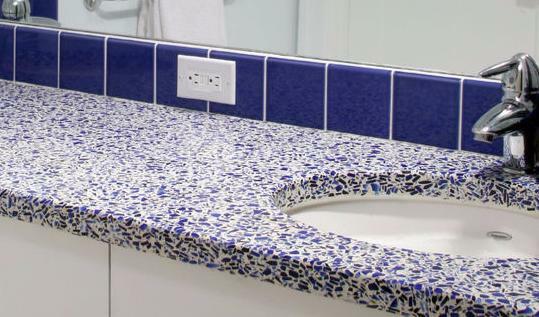 Clear and recycled glass from bottles and jars of different colours. 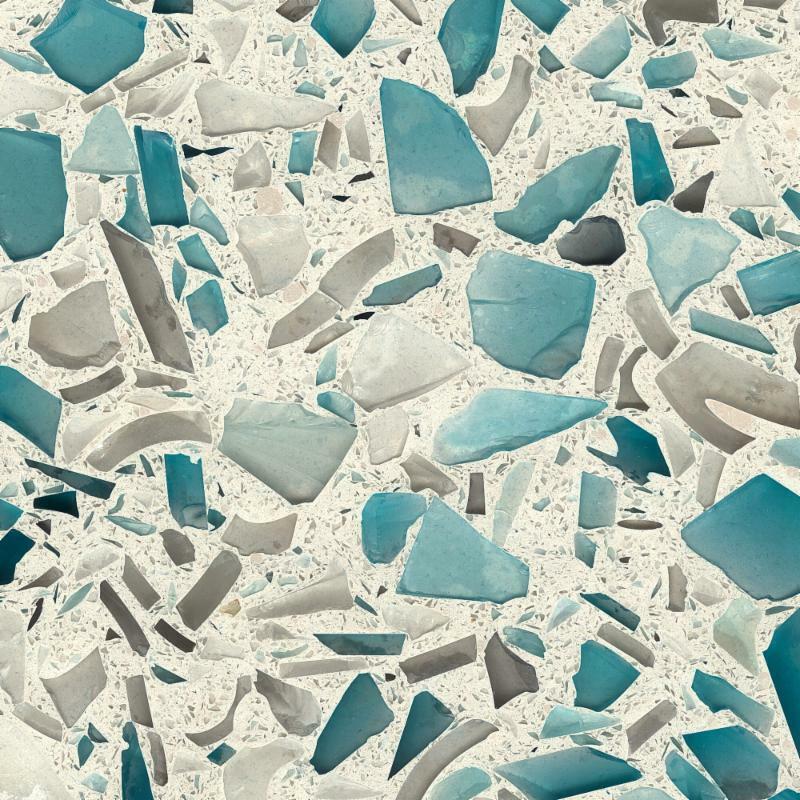 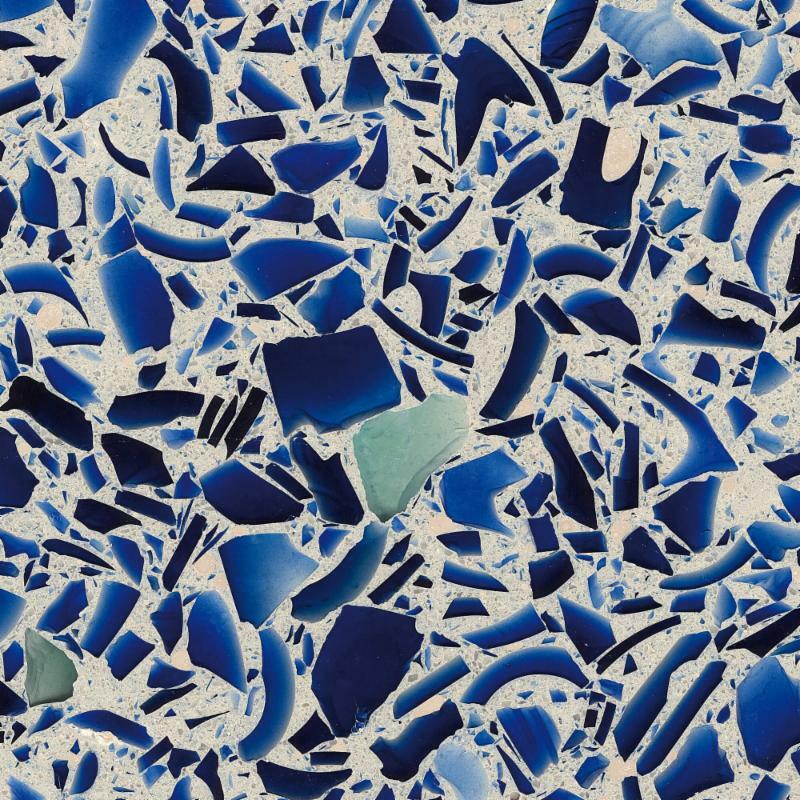 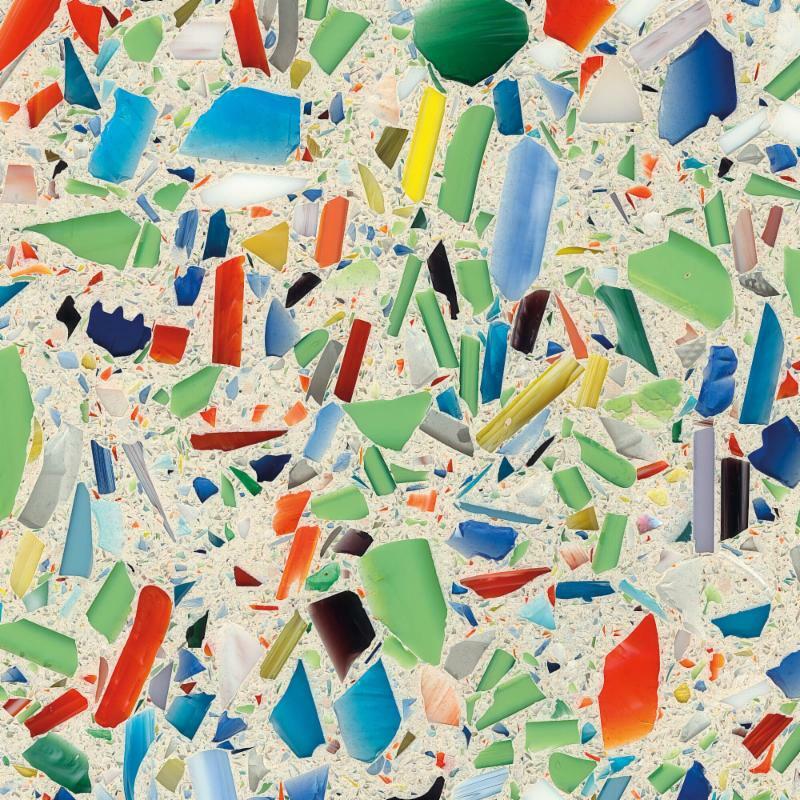 Contact your Marble Trend Sales Representative for more VETRAZZO Designer Collection colours and to hear more about exclusive Marble Trend lines.